WP Store is a free yet powerful WordPress online store theme designed for best eCommerce experience. The theme is best suited for all kind online shops such as food and drinks, interiors, fashion, corporate, technology, accessories etc. WP Store is a free yet powerful WordPress eCommerce/WooCommerce theme. This online store theme comes with all the basic eCommerce features required to build a complete web shop. The theme is best suited for all kind online shops such as food and drinks, interiors, fashion, corporate, technology, accessories etc. It comprises lots of customization possibilities and multiple options. You can easily create a complete eCommerce site within few minutes. No coding skill required. The theme is integrated with the best ever WooCommerce plugin, Besides, it includes promo ticker, separate promotional section, highly configurable homepage sections and much more. It is a fully responsive and SEO friendly WordPress template. Create a stunning online store faster than ever with WP Store. You will receive an email with theme zip file as soon as you buy theme. In case you don't receive email, please wait up to 2hr. If you don't receive email upto 2 hr please contact us at support@8degreethemes.com with your purchase code. Fully Customizer Based Fully built on Customizer Tool. User Friendly Customizer options so that any user can built their website easier and faster. Custom widgets Limited Custom widget has be designed to make your site awesome. Cross Browser Compatible Compatible with all the major web browsers like Google Chrome, FireFox, Internet Explorer, Safari etc. Easy Documentation Are you a Wordpress Noob? Get guides from documentation to be expert in using this theme. Email Support Got any issue with the theme? Send an email and get support from the experts. Forum Support Ask anything about the theme in the forum. Get your queries solved through the forum. 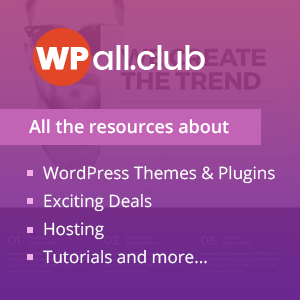 Hey Buddy!, I found this information for you: "WP Store – Best Free WooCommerce Store WordPress Theme". Here is the website link: https://8degreethemes.com/wordpress-themes/wp-store/. Thank you.